In March, an international design competition was launched by the Ebbsfleet Development Corporation and NHS England to find the best creative and inspiring ideas to help shape the landscape of what will be the first new Garden City of the 21st Century, and the largest of 10 Healthy New Towns being developed in the UK. The winner of the Ebbsfleet Garden City: Landscape for Healthy Living Competition was announced at the annual Landscape Institute conference: Valuing Landscape 2018. 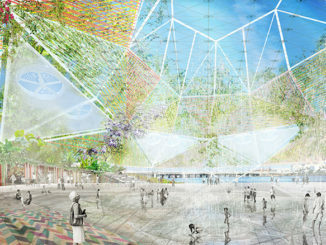 The winner of the competition was HALO – a model for growing a healthy infrastructure by Bradley Murphy Design, and the project was delivered in collaboration with John Thompson Partnership, Peter Brett Associates and Sebastien Boyesen. In the view of the judges, HALO demonstrated such thorough practicality of thinking that the concept fulfilled exactly what they had hoped for: a design that was radical, but realisable. The panel was also excited by its possibilities, particularly because the design reflected the founder of the garden city movement, Ebenezer Howard’s concept of the best of town and country life. 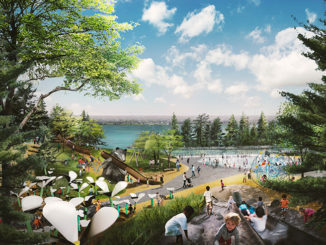 Managed by The Landscape Institute, on behalf of the Ebbsfleet Development Corporation and NHS, the second phase of the Ebbsfleet Design Challenge focused on the Blue Lake site within the Garden City because of the opportunities it offers local communities to benefit from the landscape. 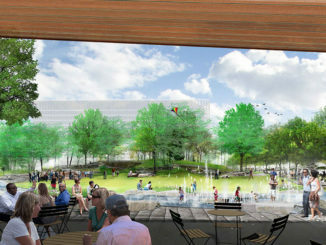 It will also be at the heart of the Garden City and one of seven city parks across the site. Dan Cook, CEO of the Landscape Institute, said “When you launch a competition of this kind you are never quite sure what response you are going to get. The judges were impressed by the standard of entries and the innovative thinking that has been shown. HALO’s winning design stood out for the clarity, and the collaboration of the multidisciplinary team bringing together the best aspects of living in London with those of living in Kent, the Garden of England. 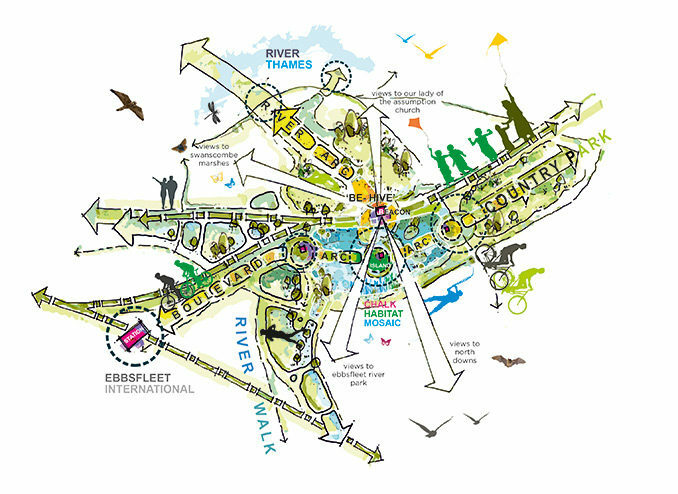 The Ebbsfleet Design Challenge was judged by an expert panel of ten judges (http://healthygardencity.co.uk/#panel) and five outstanding practitioners made it to the final stage of this prestigious competition and each of their proposals will be showcased at the Valuing Landscape conference.